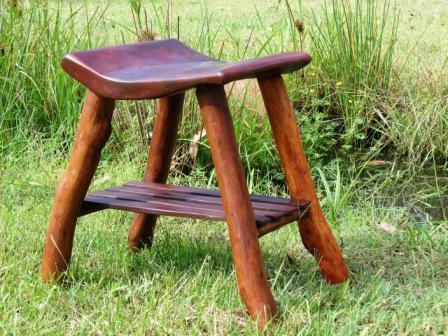 Hardwood stools hand made in the traditional way. 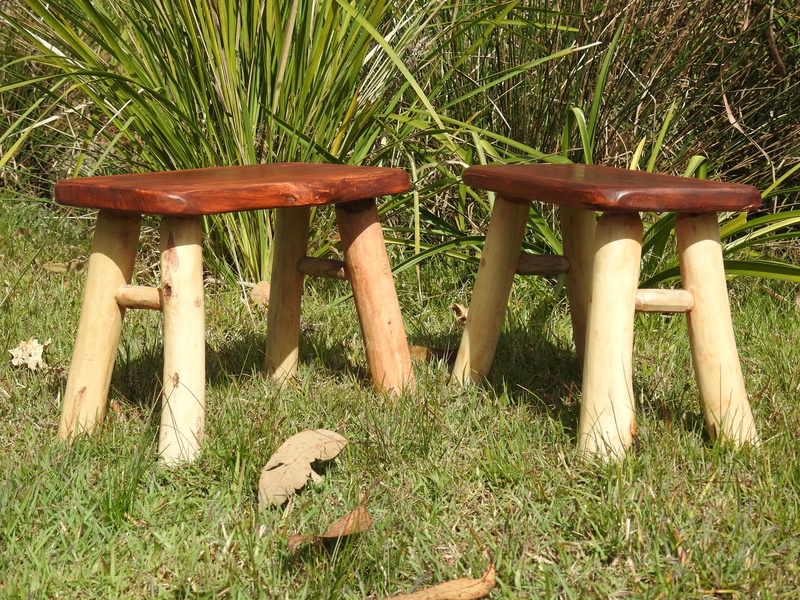 Little waxed stools suitable as footstools. 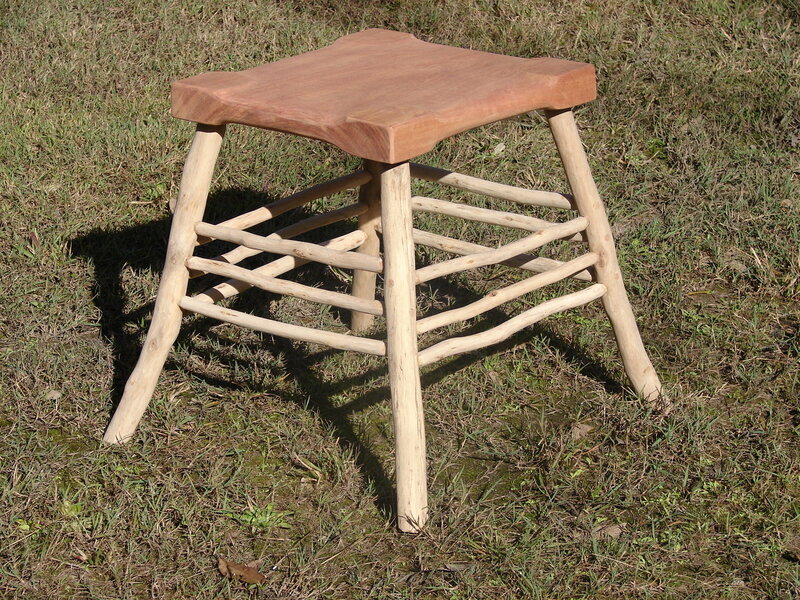 Hand crafted Ironbark and Gum stick Footstool from found wood. Finished in brown Carnauba waxes. 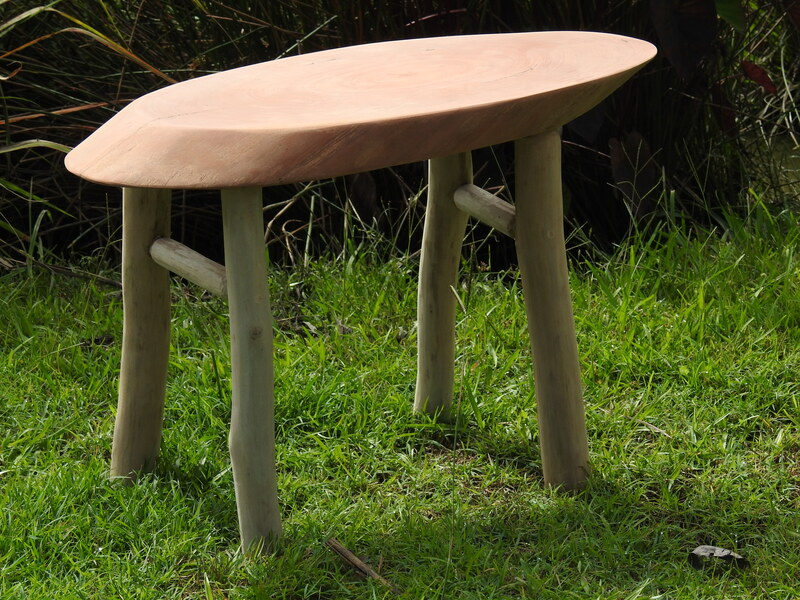 Kodama Series freehand Ironbark and Gum stick footstool. Finished in Carnauba wax. 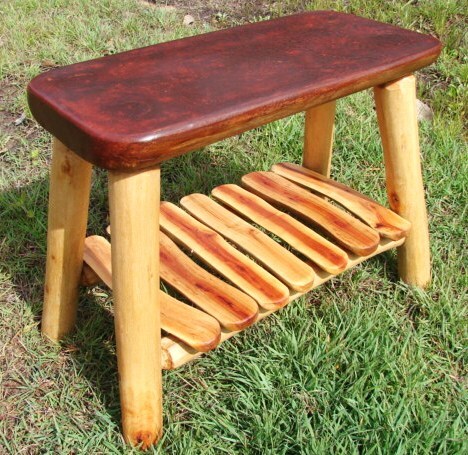 Hand-whittled Ironbark slab top and stickwork finished with Carnuba waxes. 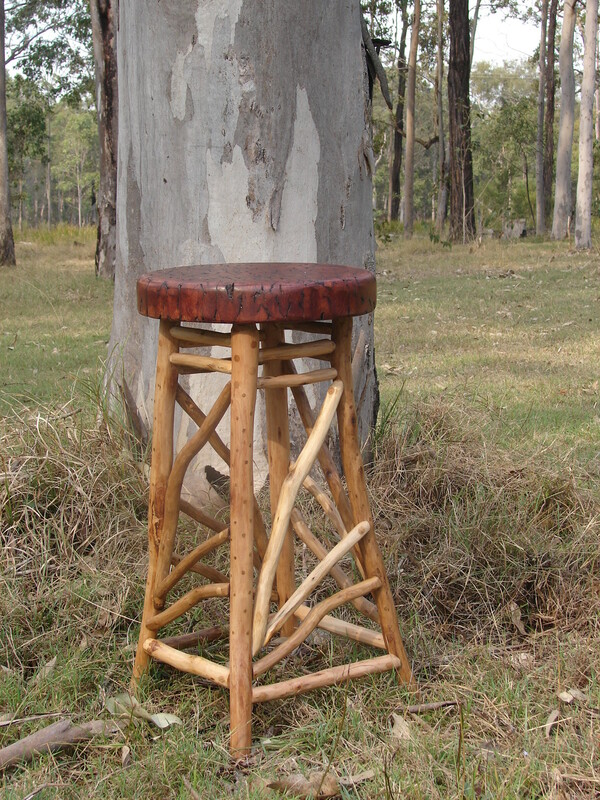 Ironbark Stick and Red Gum slab make an attractive stool. 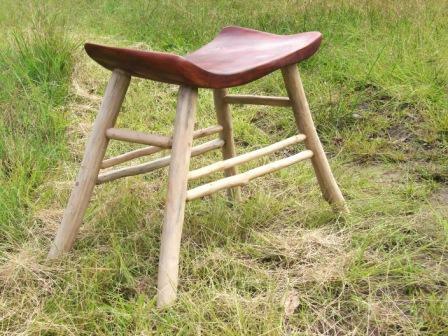 Finished in Beeswax.